The Departments of Sociology and Rural Sociology conduct a combined graduate program designed to prepare students for scholarly research, teaching, or applied work. All major areas of sociological inquiry are represented in the curriculum. Through course work and the many opportunities for research training, the students are introduced rapidly to the research problems of the field. Most students participate in faculty projects and thus acquire the spirit and technique of productive scholarly work in an apprenticeship setting. At the same time, students are encouraged to pursue their own interests. Click here to learn more. As part of the world’s largest industry, our work is about the economic and social impact of agriculture on local, regional, national and global scales. Our students, faculty and alumni work every day to build stronger communities and economies through business, law, public policy, trade, finance and in many other ways. Our mission is to seek and transmit socio-economic knowledge to the citizens of Alabama and the world. We achieve this through our teaching, research and extension programs that work in conjunction with other departments in the College of Agriculture, industry and beyond. Click here to learn more. The Department of Rural Sociology at the University of Missouri employs the theoretical and methodological tools of rural sociology to address challenges of the 21st century – preserving our natural resources, providing safe and nutritious food for an expanding population, adapting to climate changes, and maintaining sustainable rural livelihoods. Click here to learn more. Agriculture, Environment, and Development is an area of study in the Department of Sociology graduate program that engages research, teaching, and extension activities to help understand and solve problems related to agriculture and food, the environment and natural resources, development and social change, and rural and regional issues. 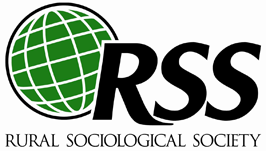 The area of study is grounded in the disciplinary fields of rural sociology and development sociology, both of which share theory and methods with the larger discipline of sociology. Students engage in either independent or group research under the direction of faculty members. Students also work toward intellectual independence while developing an integrated grasp of the field. Click here to learn more. We provide students the opportunity to develop expertise in one or more of four signature areas. We provide rigorous training in state-of-the-art quantitative and qualitative research methods. We support students as active professionals, including co-authoring peer-reviewed journal articles with faculty, presenting their research at local, regional, national, and international conferences, developing grant-writing skills, and becoming leaders in professional associations. Our graduates have gone on to launch highly successful careers in academe, government, and non-governmental research organizations. The Department of Development Sociology has a unique program profile that is unmatched by any other departments of sociology in the nation. The integrated package of scholarship on development, environment, population and community is its distinguishing characteristic and comparative advantage. Faculty and students in the department conduct theoretical and applied research, teaching, and outreach on the causes, dynamics, and consequences of social, cultural, political and economic change. Development Sociology majors study how societies develop and identify the social pathways that can help build a successful career. The department is well known for international, domestic, rural, environmental, agricultural, and population studies. Click here to learn more. The interdisciplinary School of Environment and Natural Resources offers a rural sociology specialization to prepare students to engage in sociological research related to the core discipline as well as meaningfully contribute to multidisciplinary research across a range of environmental, food, agricultural, community, and development matters. The research done by our rural sociology faculty and students focuses on environmental well-being, sustainable development of natural resources, social and community quality of life, and the diffusion and impact of technology. Doctoral students can select from two tracks: Agriculture and the Environment, or Social Change and Development. Rural Sociology faculty members maintain ties to Ohio State University Extension and the Ohio Agricultural Research and Development Center, and they form part of a larger cluster of social science faculty within the school. Click here to learn more. Sociology’s M.A. and Ph.D. programs offer specialization Environment & Natural Resources; Food, Agriculture, & Development; Crime, Law, & Deviance; and Social Inequality, Social Justice, & Governance. Graduate students benefit from a professional, supportive environment with open-door access to world-renowned faculty at a Tier 1 land grant research institution. Students develop research and data analytic skills necessary to explore complex issues from multiple angles. Many unique opportunities exist for faculty-student collaboration on theoretical, applied and policy research at local, national and international levels. Financial support is available on a competitive basis for teaching or research assistantships. Fort Collins is a beautiful and sustainability-minded environment in which to live and work. Click here to learn more. Sociology offers three B.A. concentrations: General Sociology, Criminology and Criminal Justice, and Environmental Sociology. Through core sociological training and rigorous theory, methods and analytical preparation, we offer students a broad foundation for analyzing social and individual dynamics. Our faculty are strongly committed to combining teaching, cutting-edge research, and hands-on experience. Students graduate with real-world skills employers are looking for including rigorous analytical and research capabilities, writing and presenting proficiencies, creative problem solving, analytical thinking, and the ability to work effectively alongside multiple perspectives on teams that bridge disciplines. Click here to learn more. This undergraduate degree emphasizes the application of social science knowledge to issues related to agriculture and society. The interdisciplinary major draws largely on courses from sociology, political science and economics. Its goal is to prepare students to become leaders in addressing complex issues related to the social and human dimensions of agriculture at both the local and global level. Students will learn social science concepts and skills to understand, analyze and communicate complex ideas, information and data related to agricultural systems. Click here to learn more. The Department of Development Sociology has a unique program profile that is unmatched by any other departments of sociology in the nation. The integrated package of scholarship on development, environment, population and community is its distinguishing characteristic and comparative advantage. Faculty and students in the department conduct theoretical and applied research, teaching, and outreach on the causes, dynamics, and consequences of social, cultural, political and economic change. Development Sociology majors study how societies develop and identify the social pathways that can help build a successful career. The department is well known for international, domestic, rural, environmental, agricultural, and population studies.